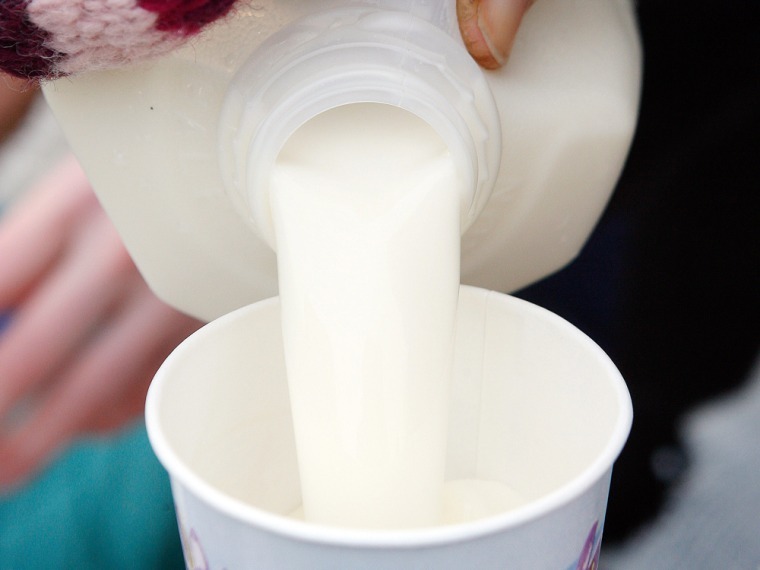 Drinking raw milk is a risky idea, especially for children, suggests a new report published Wednesday. About one in six people who tried raw milk in Minnesota over a 10-year period got sick, according to the study published in the Centers for Disease Control and Prevention’s journal, Emerging Infectious Diseases. And many of them got seriously sick: Thirteen percent of the people who became ill needed to be hospitalized, for an average of three days. Most of those who got sick after drinking raw milk were children, and an 11-month-old infant, sickened with a toxic E. coli O157 infection, died. The new report, led by Minnesota Department of Health epidemiologist Trisha Robinson, is a snapshot of the illness outbreaks linked to unpasteurized milk in that state, one of the 30 U.S. states in which raw milk is allowed to be sold in some capacity. Robinson writes that raw milk is frequently identified as the source of foodborne illness outbreaks, and while these cases are often reported in the media, they likely represent a small piece of the actual number of illnesses associated with raw milk. Over the decade they tracked, the researchers found about 530 people got sick with serious intestinal infections caused by bacteria including E. coli O157 and other toxic strains, salmonella, campylobacteriosis, and cryptosporidiosis. About half of those who got sick got their raw milk from their own or a relative’s dairy farm, and there more cases of illnesses during the summer. It's not clear how many Americans nationwide regularly consume raw milk, but one survey of 10 states in the Foodborne Diseases Active Surveillance Network found that 3 percent of respondents reported drinking raw milk in the last seven days. Raw milk proponents' estimate of annual illnesses linked to unpasteurized milk is about the same as Robinson's — around 50 a year. But advocates say raw milk is worth the risk, because they say it can help relieve allergy and asthma symptoms, and other health problems, says Sally Fallon Morrell, founder of A Campaign for Real Milk, which is pushing for legal sales of raw milk on all 50 states. Plus, raw milk advocates say, it tastes better than conventional milk — creamier, mostly. Morrell hopes legalizing raw milk — which her organization defines as unprocessed, unpasteurized, full-fat milk from pasture-fed cows —will lead to stricter safety standards. But Robinson and many other public health experts think raw milk fans tend to minimize the health risks of not pasteurizing milk. “Some raw milk advocates fail to acknowledge the elevated health risk associated with raw milk consumption and minimize the significance of reported outbreaks,” Robinson said. “In doing so, these advocates convey a false sense of the safety of raw milk to those who are considering consuming this product, and this sense of safety discourages a balanced assessment of the potential risks and benefits involved." Mary McGonigle-Martin, whose son was hospitalized with an E. coli infection for two months after consuming raw milk in 2006, believes that some might not realize how serious, and life-threatening, foodborne illnesses can be. “In my layman’s mind, salmonella poisoning would be a little diarrhea and vomiting,” says McGonigle-Martin, who lives in California, where sales of raw milk are legal. “Not that I would want to inflict that,” she says. But she thought, worst case scenario: Her boy, 8 at the time, would have a few unpleasant days of vomiting and diarrhea, and bounce back relatively quickly. Best case: Chris might finally have some relief from his constant congestion, something his mother had a hunch was being caused by the pasteurization in milk. Chris had been drinking raw milk regularly for about two and a half weeks when he got ill; eventually, he was diagnosed with an E. coli infection that led to hemolytic uremic syndrome, or HUS, a disease that destroys red blood cells and can lead to kidney failure. He needed a ventilator for nine days, had acute pancreatitis for two months and needed seven blood transfusions during his two-month hospital stay, she said. While there, the family met another little girl who was hospitalized with the same symptoms as Chris, and drank the same brand of raw milk, which is how McGonigle-Martin made the connection.